You Are Here: Home » Gambling Blog » Gambling Articles » What is Multi-Table Online Poker? What is Multi-Table Online Poker? Online poker provides the gamer with the opportunity for real-time gambling, pitting their wits against real players from across the world. This relies on all of the players at a particular table making decisions in real time, and frequently takes comparatively longer than face-to-face poker depending on the nature of your opponents and their style of play. 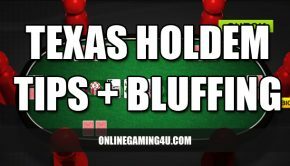 One way around this for the more serious gambler is to multi-table – that is, to play at more than one table at a time, in a bid to deliver more fast-paced action. But what are the specific benefits of multi-table online poker, and how should you approach multi-tabling for the first time? As we’ve already established, playing multiple tables at once means you’re playing more than one simultaneous game. From a sheer gameplay perspective, this can mean constant decision-making, regardless of the number of players at each table, and is enough to keep even more experienced poker players on their toes, with different games (and different sets of opponents) commanding your attention. 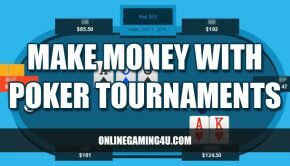 But beyond the impact on gameplay, multi-tabling also provides an opportunity to generate more winnings, and amplify the overall profits from your online poker play. As a general rule, averagely successful poker players can look to generate a return of around 18%, which at low stakes provides an acceptable (although far from earth-shattering) amount of money. As you multi-table, you literally multiply your ability to generate this level of returns by the number of tables you play, allowing you to leverage your hourly rate of return, without having to increase the stakes with which you play. In effect, this presents a clever way of increasing your winnings without increasing the stakes on each hand, which serves as a lower-risk way to generate more significant returns. Similarly, multi-table online poker allows you to hedge against losses on any particular table, to create more consistent gambling without as much downside risk. Provided you play each table in the same, consistent way, and you continue to average around the 18% returns-mark, you can afford to lose on a few tables if the majority of your games are winning. As a result, multi-tabling makes it possible to both increase the gains and minimize losses, with additional profits accounting for any games that happen to go against you. From a technical perspective, poker-rooms with multi-tabling functionalities keep you informed of each of your games, and present you with active windows as and when it’s your turn to play. This effectively automates the process of interchanging between screens. Of course, playing multi-table poker online requires your full attention and quick, on-the-spot decision making that may not be suitable for those just starting out. Furthermore, for the would-be multi-table player, your computer hardware becomes even more significant, with higher processing speeds and more screen real estate necessary to cope with the demands of playing more than one live game. 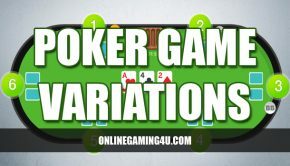 However, for the more experienced gambler with an intuitive knowledge of his playing style, moving to multiple tables can prove both a profitable and exciting way to increase your winnings.